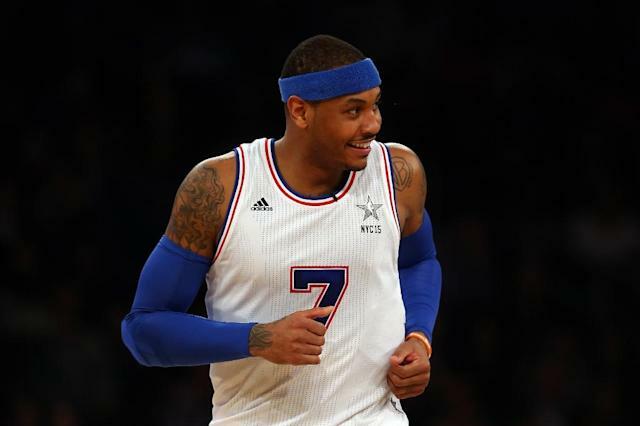 New York (AFP) - New York Knicks star Carmelo Anthony is to launch a Puerto Rico-based franchise in the revived North American Soccer League, a statement said Thursday, in another milestone for the rapidly expanding competition. Anthony's Puerto Rico FC will become the 13th team in the NASL, which last month announced the launch of a Miami-based expansion side fronted by AC Milan legend Paolo Maldini. The Puerto Rico team would join forces with local side Bayamon FC with the aim of developing home-grown talent on the island, a statement said. "It is an honor for me to bring back soccer to Puerto Rico, my beloved island, birthplace of my father and a special place that, as you know, I carry with pride in my heart and soul," Anthony said. The new club effectively replaces the former Puerto Rico Islanders team, who played in the NASL until 2012 when they withdrew from the competition. Anthony's team will play its matches next year at the Islanders former home, the Juan Ramon Loubriel Stadium. Anthony's non-profit foundation has long been involved in projects in Puerto Rico, funding the refurbishment of basketball courts in underprivileged communities across the island. The NASL, which includes the New York Cosmos, is effectively the second tier of professional football in the United States, although it remains a separate entity to the most prominent club competition, Major League Soccer.